I did so well in November for blogging, but I am sort of fading off again in December. This is partly because I am still not reading very much... It's terrible... I did read a graphic novel last night, though. Yay! It's not like I have any shortage of things to read... I am hoping January will kick-start my reading. The new year usually is when any reading slumps start to fade because I am excited about reading new releases, reading challenges, etc. Mind you, I haven't had many years where I have suffered so much for reading. 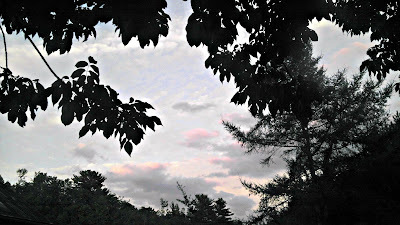 It has been about July since I read with any regularity... Maybe even June? So, what's new with me... On Sunday it will be my 7th Blogiversary. I have been toyed with the idea of a give-away... The only problem is I kind of want to do a graphic novel one and graphic novels are very expensive on Book Depository compared to other online retailers... And, I want to make the give-away international. I will have to think between now and Sunday. Tomorrow I am launching a new blog. It is for my postcard collection. I got to thinking it was a shame that I get all these postcards and then they sit in boxes. This way I can have them online for myself and others to glance through whenever they like. It is also good because if I want to sit down for an afternoon I can do a bunch of posts and get a buffer going. I am currently working on January. I hope people will check it out. 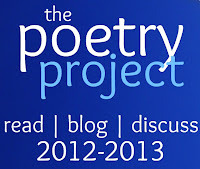 The URL is http://the-postcard-project.blogspot.com. Virtual Advent is in full swing. Hard to believe it is the 14th all ready! Be sure to stop by the blog and read all the posts that have been put up so far! 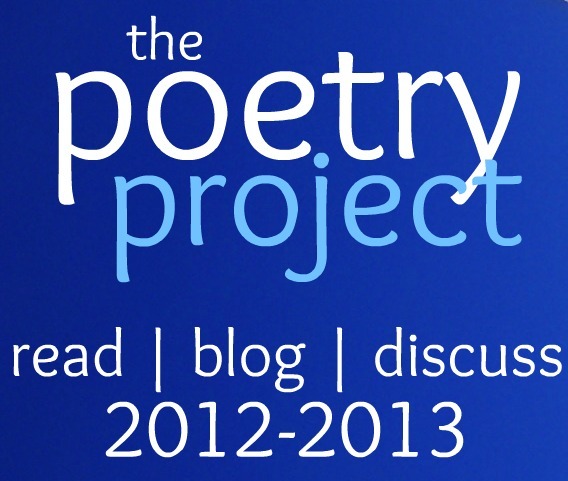 The Poetry Project is doing a mid-year wrap-up or holiday poetry. Be sure to participate in that and then link up at Leslie's post. 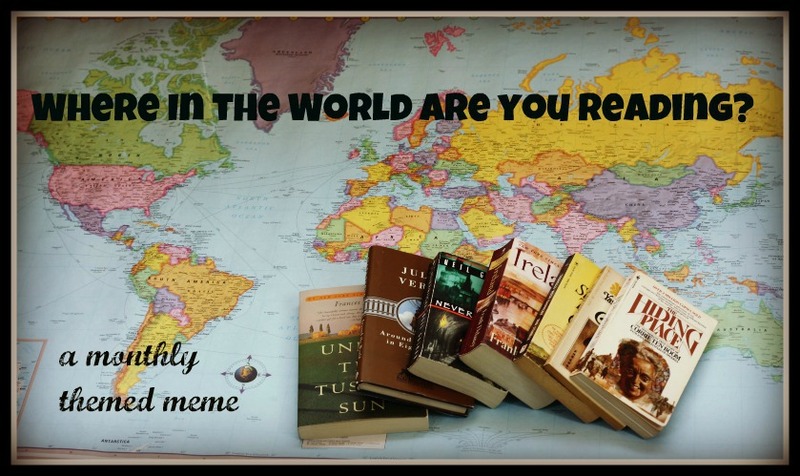 Where in the World are you Reading is also about the holidays. Basically the topic is about the retreat from the craziness of this time of year. You can read a holiday book or just showcase how reading can be your escape from the other demands of the month. Lisa is hosting this month, so be sure to link-up over at her blog. I think my biggest news is that I am getting a new camera for Christmas and taking photography courses!! The one in January is Portrait Photography. I imagine I will fail all ready because I have very few willing Portrait Sitters, but I am going to be excited anyway! I also am taking a basic course, a lighting course, and an editing course. And I have one more to use later. The course I wanted to take was just full. I bought three of them for myself and then the charming comedian (aka The Guy) bought the other two because I was only allowed to buy three for myself and, well, I couldn't make up my mind! Happ 7th Blogiversary! That's an incredible length of time to be doing this. I think sometimes that we're too hard on ourselves about blogging, so I say give yourself a pass and delve into the photography and the postcards. Love that you're taking a photography course!!! I'd so love to do that myself too. Wish I could afford a really nice camera! I so feel you on the reading front...this has easily been my worst year since I've been blogging :/ I won't even hit 60 books this year :( Ah well. Like you said..I suspect that January will kickstart my reading again!